PetWill is a fresh, revolutionary new alternative to other pet estate planning with a one-time cost of only $15.95! PetWill empowers your pet – he or she is the legal trust beneficiary. That means your pet has legal protection with proper care and the use of the pet trust assets. The trust assets are used specifically for your pet. You pick the successor trustees, the pet guardians and outline all of your specific instructions for your pet – nothing could be easier. A PetWill pet trust can even be incorporated into your personal estate planning. It’s a standalone trust. With a simple codicil to your last will or amendment to your revocable trust, you can direct your assets to your PetWill, knowing your pets will be protected for life. And best of all, a PetWill is only $15.95. Was created by prominent estate planning and animal law attorneys. Protects your pets’ future should an emergency strike. 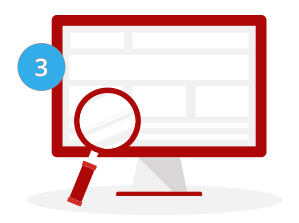 Allows you to select up to three TRUSTEES. Allows you to name up to three GUARDIANS for your pets. Allows you to leave FUNDS for your pets. PetWill can benefit all your pets – the first pet is $15.95, each additional pet is only $9.95. Each pet gets their own Online Pet Profile for his or her individual needs. Each pet’s veterinary information, medication, allergies and daily routine are documented individually. Safeguard Your Beloved Pet Today! Remember – You are everything to your pets. They trust and depend on you. Don’t let your beloved pet become a statistic. Remember, an estimated 500,000 pets were killed or abandoned simply for lack of a plan for their future when something happened to their owners. Name their guardian right now. Do it today. Sign up with PetWill. Protecting your pets’ future has never been this easy. Don’t let another day go by. PetWill Is A Must Have For Your Pets. Your Pets Deserve Their Own Online Profile And Their Own Pet ID Tag. Your Pets Need The Protection Only PetWill Offers. PetWill is a smart choice for any pet. It’s not just for cats, dogs and horses who number nearly 200 million in the United States. It’s for all of the over 80 MILLION exotic pets we love – birds, ferrets, turtles, rabbits, fish, reptiles, snakes, hamsters, and guinea pigs, just to name a few. We value ALL pet’s lives. We hope you feel the same way. Go to http://www.MyPetWill.com and register. Simply enter your pet name(s), along with their picture, care instructions, diet, veterinary information and any medications. IMPORTANT! Type in your trustee and pet guardian information in case you are no longer able to care for your pet. Your pet(s) get their own Online Pet Profile, complete with their needs and information. Download and/or print your custom PetWill for your records. Sign it in the presence of two witnesses and a notary. Your pet(s) get their own beautiful Pet ID tags shipped direct to you. Log in anytime to make edits, reprint, and order more tags if needed. Sign up for our referral program to earn 15% commission just by telling your friends and family about PetWill. Your PetWill information is stored safely forever in your own private account. 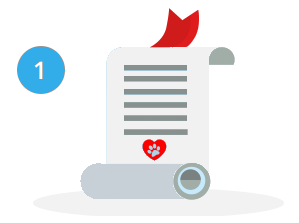 By entering the unique PetWill Pet Profile web address found on the PetWill ID Tag, you, your family, friends, neighbors, and first responders can see your trustee and pet guardian information, care instructions, diet, medication and veterinary information. Access your PetWill 24/7 on your PC, Smartphone, or tablet. Make edits, add pets, change trustees or guardians, update your pet’s medications, vet information, care instructions, photos, and much more. 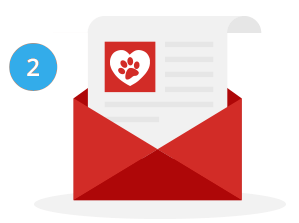 Easily share your PetWill Referral ID and help save lives through email, social media, and word-of-mouth to earn 15% from each PetWill you help sell. You get a custom pet id tag with your PetWill backed up online with your pet’s profile web link. This pet id tag can be worn on a collar or halter, stick on an enclosure or be zip tied around their cage. Protect your beloved pets with PetWill. It’s truly the best thing you will ever do for your pets. Do it today! It may save a life tomorrow!